The announcement by the Iraqi military that its forces have reached the Tigris River for the first time in the battle for Mosul marks a significant moment in the 12-week campaign to recapture so-called Islamic State's (IS) last major stronghold in the country. Lieutenant General Abdal-Amir al-Lami, the Iraqi deputy chief of staff for operations, confirmed on 8 January that the Iraqi security forces (ISF) had seized the eastern end of one of the bridges linking the two sides of the city. A solid foothold seems to have been made in the riverside Beladiyat area, which is the site of many of Mosul's newer municipality offices and the Salam Hospital, the scene of a daring earlier attempt by Iraqi forces to punch a corridor through to the river. North of Beladiyat, the 2nd Iraqi Special Operations Forces (ISOF) brigade experienced a simultaneous breakthrough towards the river in the Muthana neighbourhood and the ancient ruins of Nineveh. Gains are also being made in north-east Mosul, as the 1st and 3rd ISOF brigades attempt the recapture of the Kindi military base and adjacent upper income neighbourhoods. Broad-based advances suggest that IS resistance is "showing signs of collapse" in east Mosul, as suggested by Brett McGurk, the senior US official in the counter-IS coalition, in a tweet on 8 January. One causal factor was clearly the concentration of all available ISF forces in east Mosul, achieved by closing down ancillary assaults north and south-west of the city. During a two-week hiatus the 2nd Emergency Response Brigade and 5th Federal Police division troops were shifted from areas south-west of Mosul to new positions east of the Tigris. These forces re-energised the ISF thrust towards Beladiyat and the bridges inside the city when the offensive was restarted on 29 December. Another accelerant was the coalition's role in reconfiguring the Iraqi battle plan, fostering greater co-ordination between Iraqi headquarters and providing more powerful artillery and air strikes. The latter boost in firepower required US howitzers to be deployed at the eastern edges of Mosul city. 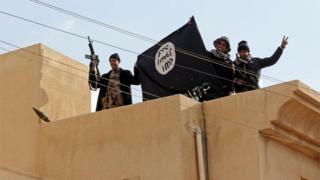 Over 400 coalition special forces were inserted into the urban battle as advisers and strike co-ordinators, often well within the range of IS attacks. Steady advances in east Mosul will provide a welcome bright spot as the gruelling battle for the city enters its 12th week. Iraqi forces are now present in 35 of east Mosul's 47 neighbourhoods, including the largest and most densely populated parts of the east side. Hard fighting may still be ahead for Mosul University and the Kindi army base, both of which are in east Mosul. None of the 29 large and heavily populated west Mosul neighbourhoods have been liberated. Unless an unexpectedly rapid collapse of IS unfolds, the western side of the city will need to be assaulted in a separate military operation launched after some weeks of reset and planning for the ISF. This suggests that east Mosul may be cleared in January 2017 or early February, whilst the clearance of west Mosul may stretch well into the second quarter of 2017. The sequential clearing of different quarters of Mosul city may succeed in limiting the time that civilians are exposed to intense combat in individual neighbourhoods. Thus far the battle has seen far less damage done to Mosul's infrastructure than previous attritional struggles like Ramadi in Iraq or Kobane in Syria, though the daily damage to neighbourhoods has intensified since the offensive restarted. The coalition has specifically sought to minimise the cost and time required to rebuild bridges, selectively destroying easy-to-replace spars and off-ramps to deny the bridges to IS but to leave them quickly repairable after the battle. The number of Internally Displaced Persons (IDPs) from Mosul city itself was estimated by the UN Office for the Coordination of Humanitarian Affairs at 42,000 in early December, around 4-6% of Mosul's remaining population and a far lower number than many pre-battle projections. The flow of IDPs from the city has increased since 29 December according to OCHA, including 15,942 in the eight days after the offensive restarted. However, OCHA also announced that security in liberated areas has also allowed 14,000 IDPs to return to Mosul city. Away from most media coverage, the liberated zones of east Mosul city are witnessing the gradual return of policing, running water and diesel-run neighbourhood electrical generation networks. Most important, the cross-sectarian and multi-ethnic ISF in Mosul city have broadly been accepted by local Sunni Arab residents, who seem grateful for their largely humane treatment of the population and their sacrifices in coming to the distant northern Sunni city of Mosul to liberate it from IS. The most likely IS response to the loss of east Mosul will be efforts to intensify anti-civilian bombings in Baghdad, where seven bombings in the first eight days of 2017 have killed 87 people and wounded as many as 231. The Iraqi government and coalition are currently building up Baghdad's perimeter defences, installing sensors on tethered blimps and launching disruptive security operations in the rural outskirts of the city to break up bombing cells.